About $20 per rotation, or $100 over 30,000 miles. A Nissan Sentra’s tires had to be replaced after less than 30,000 miles because they had never been rotated. Those tires, carrying a 65,000-mile warranty, should have lasted much longer. Rotation is generally recommended every 6,000 miles by manufacturers. Also, check the tire pressure at least once per month; underinflation can cut a tire’s life by as much as half. 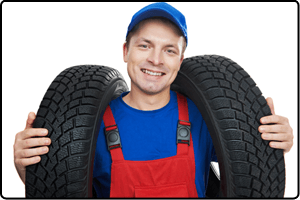 Of course, if your car pulls to one side, its wheel alignment is probably off, which also hastens tire wear. Car became scratched and dented during a visit to a mechanic. What it should have cost:"$0"
This person tried to save money by taking their car to a “mechanic” that did a lot of work out of his garage. They got their car back and found scratches in the paint and a dent in the fender that wasn’t there before. Because they used an unlicensed repair facility they had no recourse in getting the damage repaired and no way to recoup the cost of a new paint job. Using a repair garage that has been approved by the state and one that employs trained and certified technicians is critical to a good repair experience. The entire building should be clean and professional to avoid any damage caused by poor workmanship. Make sure that the place servicing your car is a place you trust to avoid any issues. Customer did not have regular brake inspections performed and caused severe damage to brake system. Customer ignored the warning signs from the brakes and continued to drive until severe damage had occurred to the brake rotors and calipers, requiring all of these parts to be replaced. 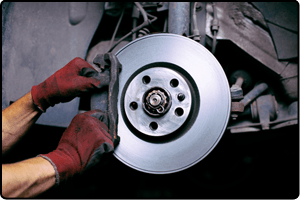 Have your brakes inspected every 6000 miles when your tires are rotated. AND DON’T IGNORE SQUEAKING OR GRINDING NOISES! Tires wore out prematurely due to Wheel Alignment out of specs. Customer owns a high end SUV with expensive tires. He replaced tires but did not have the wheel alignment checked. He came to Mazur's Total Automotive 10,000 miles later when the tires were worn out again. We replaced the tires again and set the wheel alignment back to specs. 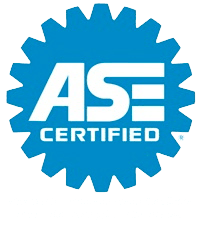 Have your wheel alignment checked every year, and always when you replace tires. What it would have cost: $400-500 to install proper parts the first time! One of our customers has a heavy duty truck that he uses for frequent hauling. The transmission went out 2 years ago and was rebuilt by a local shop. 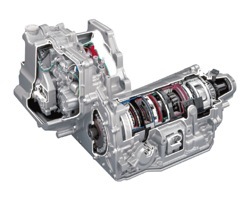 However, the shop did not install several updated design parts to help the transmission last longer. There also was no way for the owner of the vehicle to monitor transmission temperature to avoid damage. We rebuilt the transmission, installed all of the updated parts, installed a larger transmission cooler and a temperature gauge to prevent future damage. Transmission fluid should be maintained at regular intervals, more often when towing. If you tow with your vehicle, consider adding a temperature gauge and transmission cooler. And always use a shop that you trust! Because the check engine light was on all the time, the customer did not know when other problems developed before it was too late. The intake manifold developed a leak, which over time, flooded the engine oil with coolant causing lack of lubrication and premature wear. The customer waited until the engine overheated before bringing it in for service and we repaired the intake manifold.However, the damage was already done. Two months later the engine developed a loud knocking noise from the bearings and lost power as the customer was driving on the highway. At the top of a hill the engine siezed up, requiring an inconvenient wait and an expensive tow, only to discover that the engine required replacement. Even the small, insignificant problems can interfere with the owner detecting the early warning signs of a problem. Whenever a light, or message comes on, the car is trying to tell you something. Get it looked at by a trained mechanic (that you trust), and keep your car running properly to avoid costly repair bills.